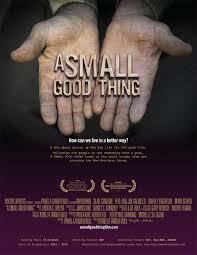 Pamela Tanner Boll’s documentary A Small Good Thing shows at the TCA on Thursday, August 18. Boll and Producer Pamela Kirk will be present for a Q&A. 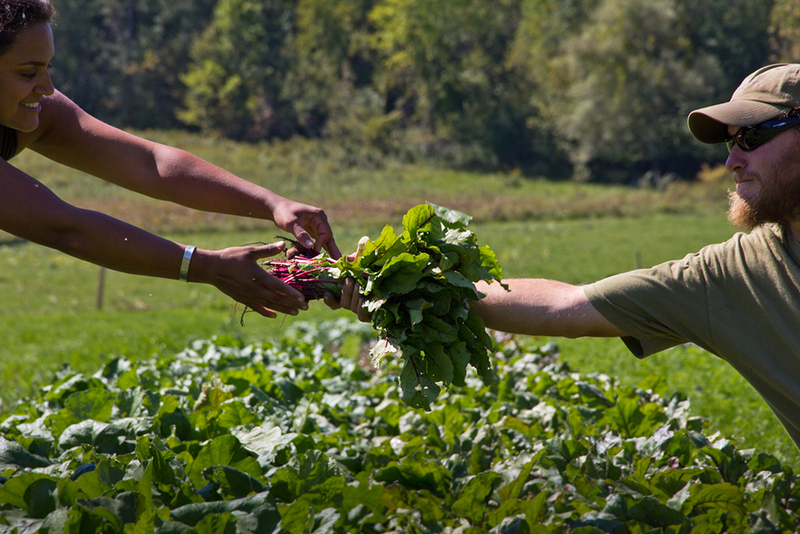 Let’s talk about the Berkshires and Indra’s net—two topics important to Pamela Tanner Boll’s recent documentary, A Small Good Thing. With this, the film declares what many in Taos know and live by: A happy life is not necessarily an easy life. It’s a life that has interest in the wellbeing of others. In A Small Good Thing, we meet six people living in Berkshire County. Boll shows us the complexities of their lives. We see what it’s like to slaughter a chicken (livestock farmer). We hear how it feels to return from Iraq then struggle with PTSD and drug addiction (veteran, student). There’s a single dad raising his two sons (yoga teacher). There’s a community organizer dedicated to youth. These are not perfect people living perfect lives (not that perfect people with perfect lives exist anyway.) As we meet the six characters we’re reminded of what we already know: At times, life is probably hard for everyone. What’s important is that we’re working towards something we believe in. Throughout the film the six character studies are woven into discussion of the latest science on wellbeing from a group that includes a social psychologists, an environmentalist, and an economist. I think that this is where the film succeeds. We swing into the character’s lives, then swing over to the “expert corner.” It becomes a dynamic narrative. What does it say about us that we need research studies and data to believe that a happy, healthy life pretty much comes down to one thing: be connected to people in meaningful ways. Period. I spoke with Boll over the phone. We were both somewhere outside the Berkshires—she near Boston, me in the center of Connecticut. She said that even after the accolades—with career highlights that include Born into Brothels, which won the Academy Award for best documentary in 2005, and a successful run of Who Does She Think She Is? in 2008—after the professional successes, after raising two children, she looked around and wondered, is this it? So, she launched into an investigation about what it means to have a happy life. 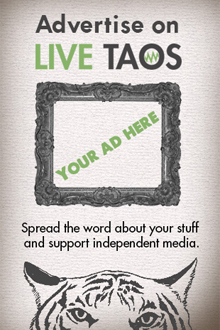 In many ways, A Small Good Thing cheers life in Taos on. Come see it, then refer the documentary to a friend or loved one who doesn’t get why you live in a small town in the high desert of New Mexico. The film may help them see. At the very least, it’ll give you a one-up in the conversation. Final note: Boll has a connection to Taos that goes back to her 2008 documentary, Who Does She Think She Is? One of the stars of that film is Maye Torres, a thirteenth-generation Taoseña and artist. Thursday night, let’s all go to the movies—and come away thinking about how we can live in a better way.